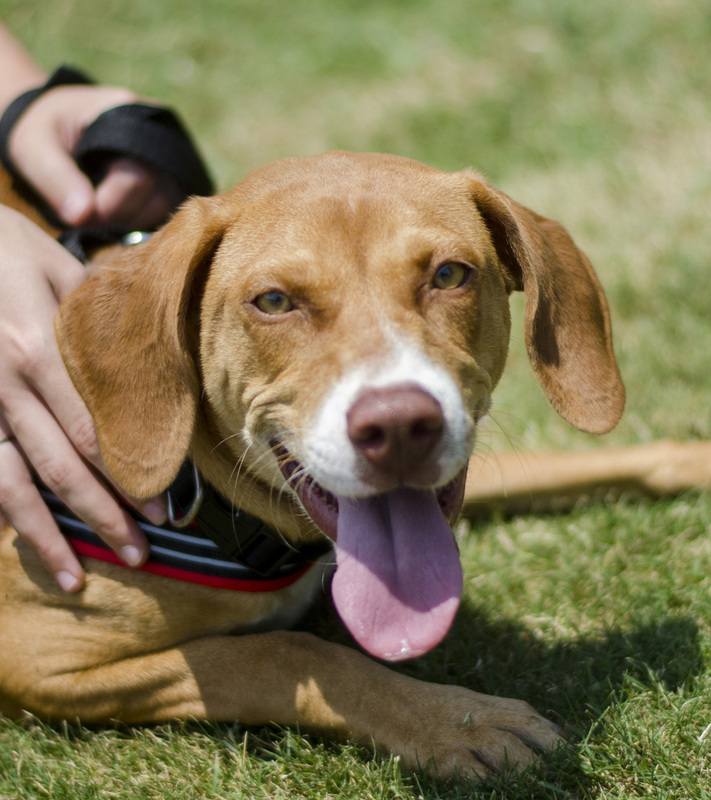 Azula is a Weimaraner mix who catches the attention people and dog alike. She has a bronze coat kissed by the sun and “legs for days,” but it’s her golden heart that makes her special and it shines through her eyes. At only 6 months old, Azula still has a lot of puppy in her so she loves to bounce around and have fun. Patience is a virtue while she learns the ropes of being a good dog; but this silly pup is eager to please and should earn a gold star in no time! Azula is a social butterfly who hasn’t met a person she doesn’t like. She especially enjoys playtime and the companionship of her 4 legged friends, so she would do best in a home with other furry family members. 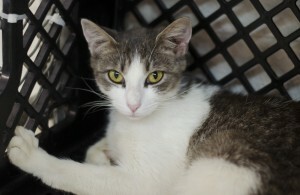 Yoshi is an adorable 2 year old domestic short hair kitty with a white coat and brown tabby spots. She has a heartwarming face with large lemon eyes and a dainty pink nose. Her silky fur and slender body give her an elegant appearance and she carries herself with just as much grace. Yoshi’s sleeping posture looks a bit like she could be playing opossum. She sprawls out on her back with her feet curled up and snores very sweetly dreaming of having a home and family of her very own. No matter how at rest she may look, feel free to wake her with a kindly scratch behind the ear because as much as she loves naps, she adores attention even more.